Young people need to know they don’t have to face “honour” based violence, forced marriage or FGM. 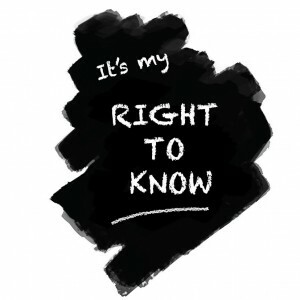 As part of its #RightToKnow campaign, IKWRO is asking everyone to ask their parliamentary candidates to commit to ensuring that every school is made “honour” based violence forced marriage and FGM safe. Help make sure that as soon as parliament recommences after the election, the new MPs are committed to getting straight to work on making sure that every school is made “honour” based violence, forced marriage and FGM safe. Make sure everyone knows that “honour” based violence, forced marriage and FGM happen in the UK. In 2010 more than 2800 cases of “honour” based violence were reported to the police, but in 2012 1 in 5 police forces failed to properly record cases and many cases are never reported. In 2013 the government gave advice or support to victims in 1302 cases of forced marriage. Over 60,000 girls under the age of 15 are at high risk of FGM every year in England and Wales and over 137,000 women in England and Wales are already living with the consequences of FGM. And young people in the UK need to know that they have the right not to face “honour” based violence, forced marriage or FGM. They need to be certain that support is available for them if they are worried about “honour” based violence, forced marriage or FGM. And they need to be sure that their teachers and the staff at their school or college will understand and take steps to protect them if they disclose that they face – or know someone in danger of – “honour” based violence, forced marriage or FGM. Schools must embed the prevention of “honour” based violence, forced marriage and female genital mutilation into their safeguarding procedures, and these must be monitored by Ofsted. School staff must be trained to understand and to spot the signs of “honour” based violence, forced marriage and FGM and to know what to do if any student could be at risk. This is important – and MPs need to take action. In the run up to the election your parliamentary candidates will be out and about seeking your support and they will be keen to know about what matters to you. Call on them, at your doorstep, at public meetings and on twitter using the hashtag #RightToKnow, to commit to ensuring that every school is made “honour” based violence, forced marriage and FGM safe. Please let the campaigns officer at IKWRO know how your parliamentary candidates respond by email or by contacting them on twitter @IKWRO using #RightToKnow or via their Facebook page. Help end “honour” based violence, forced marriage and FGM.